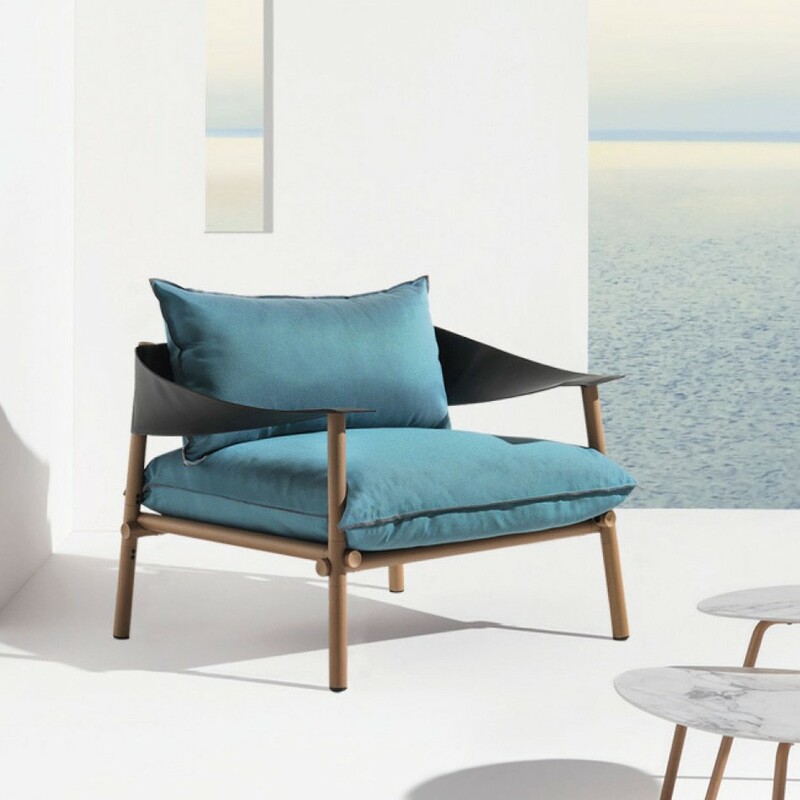 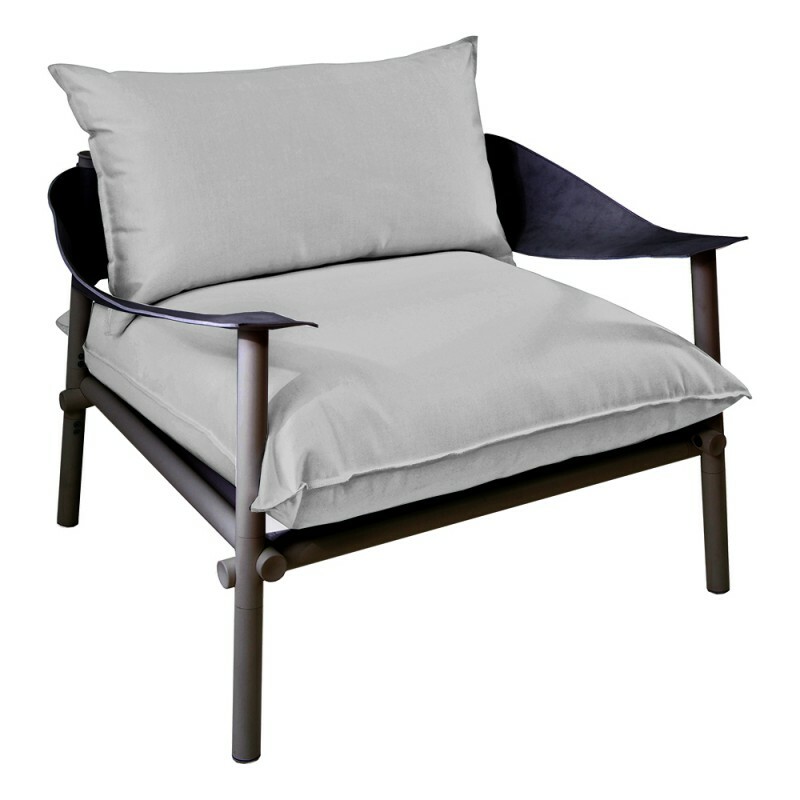 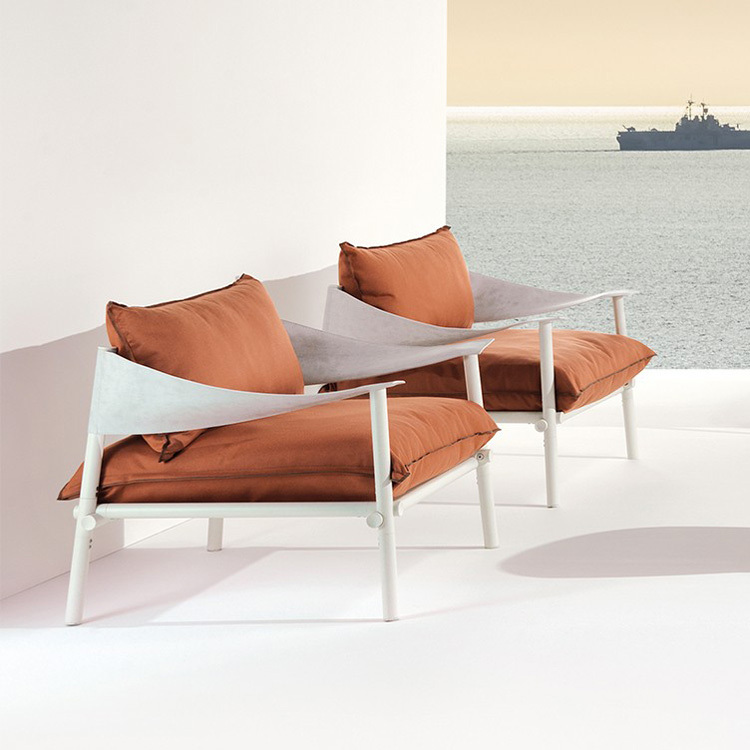 A contemporary lounge chair featuring a die cast aluminium frame and ecoleather backrest. 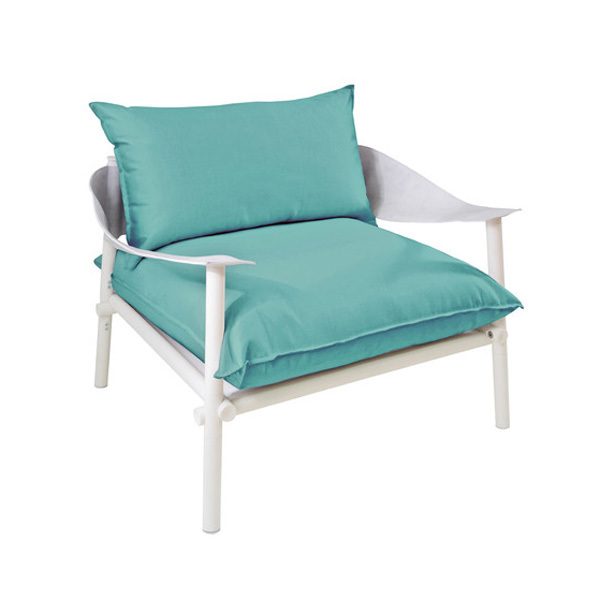 Fabric seat/back cushion available in various colors. 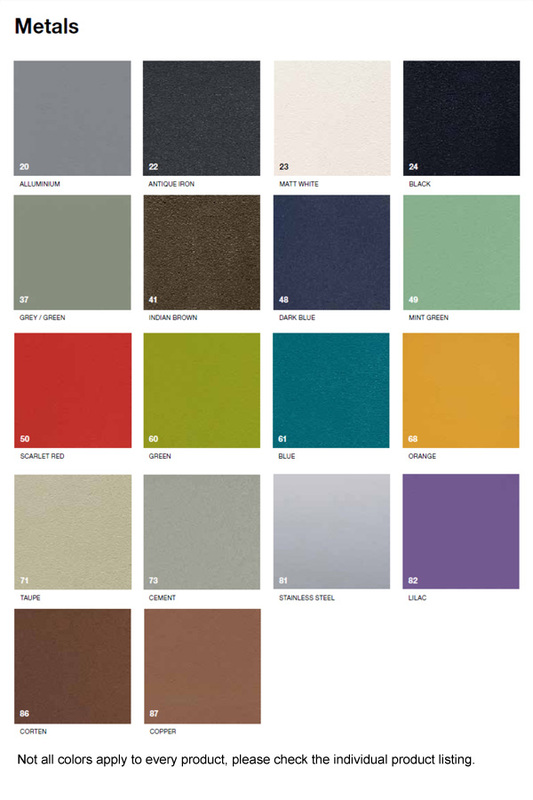 Sofas also available, see related products below.